What a wonderful 6 nights in Rosslyn Cottage at the end of March we had! A fantastic location with everything provided that we could need for our stay. Plenty of space for four people to relax after the exertions of whichever walk we took. These literally started from the door. The car stayed,safely, in the public car park only a few minutes walk from Rosslyn Cottage the whole time we were there. Be aware that you will be walking up a fairly steep hill to get from St Mawes Harbour to the cottage but oh my it is worth it. The views are just stunning! We cooked in the very well equipped kitchen on 3 evenings and out in the local pub the other 3 evenings (never further than the Victory Inn as there was so much choice and the food was delicious). The WiFi was speedy, the shower hot and the cottage very clean. 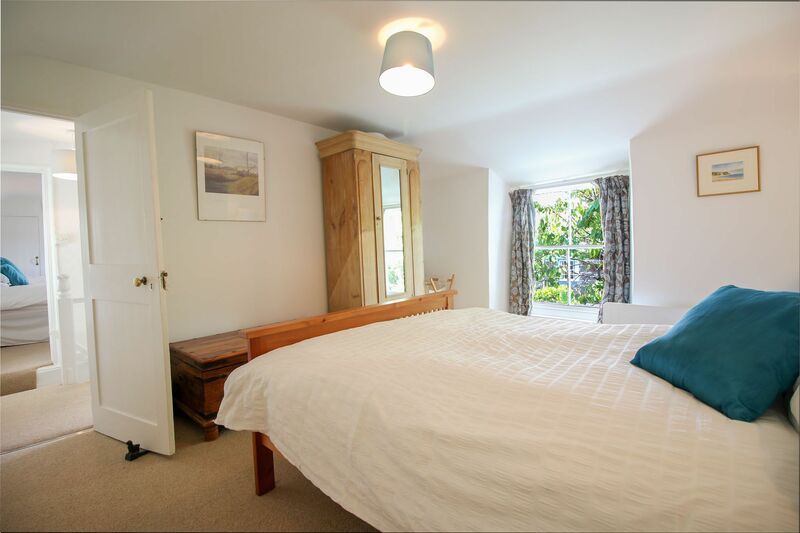 Overall We thought it was a lovely cottage, very homely, in a perfect location and surrounded by beautiful scenery. The locals very friendly and no downside other than having to leave! Thoroughly recommend Rosslyn Cottage. 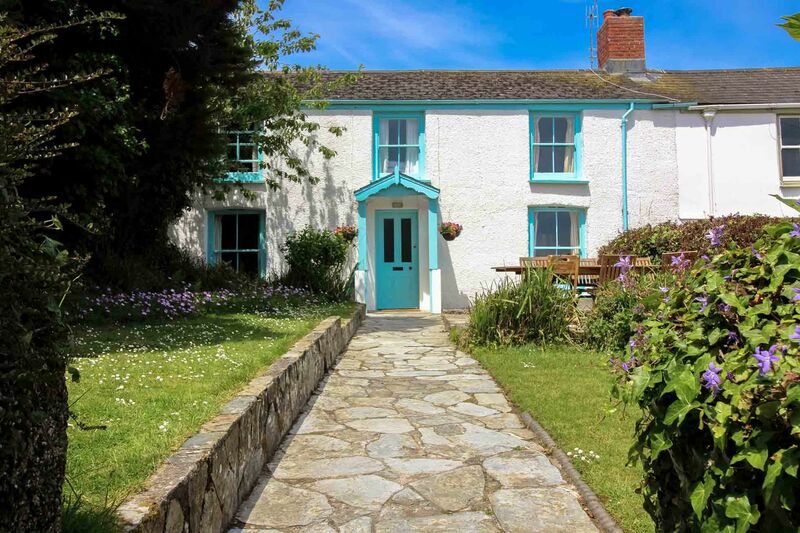 Rosslyn cottage was set back on a hill with all front windows providing a view of the sea. 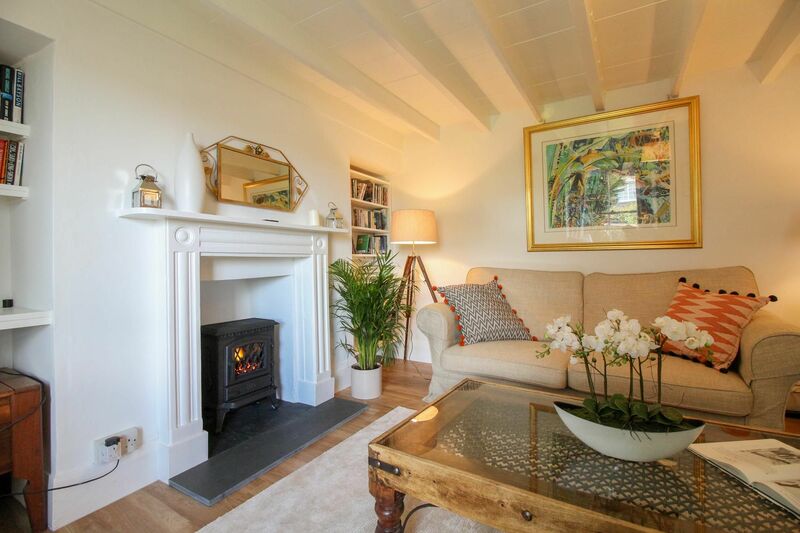 A stunning g location set in St Mawes which is a beautiful little harbour with a small beach. The restaurants, hotels and shops all provided very friendly hospitable people. A perfect place to stay, we had a fabulous time with lots of great walks in the area. Lovely cottage with great views. 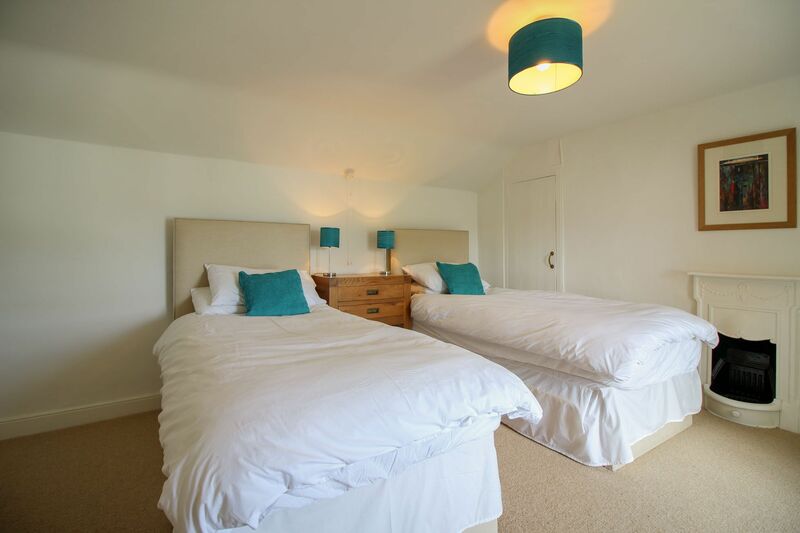 Ideal for a family holiday to get away from busy everyday life with plenty to do and see in the local area. The cottage is well appointed but slightly let down by the general cleanliness and the dated bathroom which is downstairs. Reply from Simon & Caroline Beeching We're so pleased Kersten that you had such a good week at Rosslyn and said it's a 'lovely cottage' and you'd recommend it to others and would go back, although we're rather disappointed with your scores here which seem a bit harsh on that basis :-( We've had great reviews since the cottage was renovated and re-furbished a couple of years ago and haven't had any other comments about cleanliness, so we'll take this up with our cleaner to see if there's any reason for this and apologise if there was any one-off lapse. Regarding the bathroom downstairs, there's no getting away from the older style layout of this 200 year old house I'm afraid (there's even the old outside loo too! ), but we'll of course take account of your feedback when we look at what maintenance needs doing this winter. So thanks for the very kind comments overall, we're glad you had such a nice stay and we do of course appreciate the feedback and look forward to welcoming you again. We had a most enjoyable, relaxing stay and the cottage felt very much home from home. It was very well and thoughtfully equipped. Cornwalls cottages provided lots of useful information about the area and the owners also left a file of great information too. 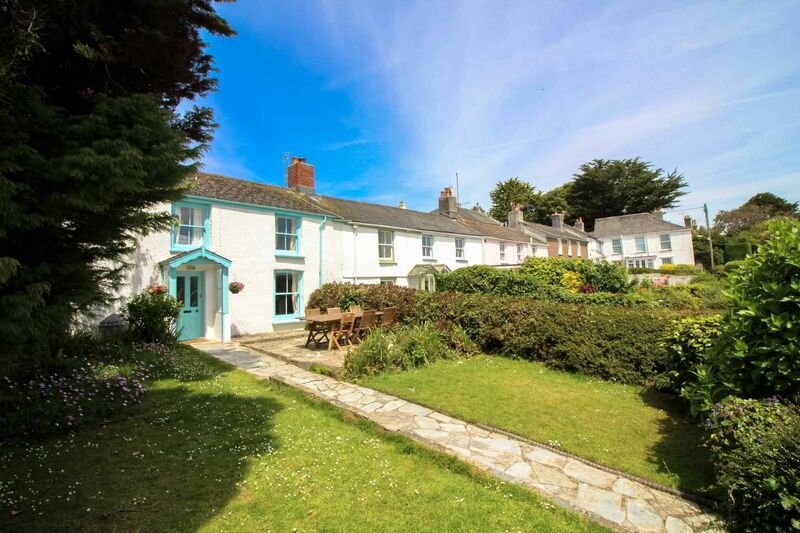 A charming homely cottage in a lovely place. Reply from Simon & Caroline Beeching We're so glad you had a nice stay in Rosslyn and look forward to welcoming you back, Mr Ewington. On the whole we had a lovely holiday in a beautiful location. 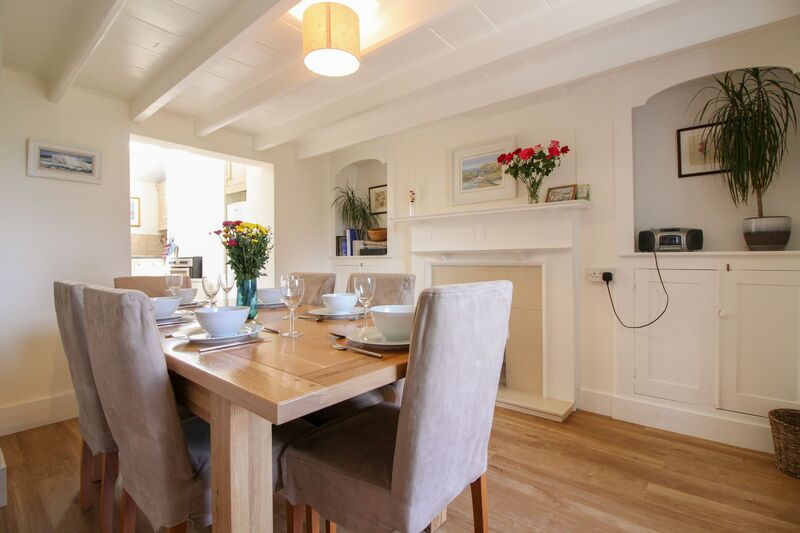 The cottage was comfortable and well appointed very much a home from home! We only had a few very minor issues which prevented me from classing each category as excellent. The cottage was clean but not spotless particular attention to the bathroom especially around the floor and skirting boards which had a layer of dust on arrival,although not a major issue. The television was particularly small in the lounge and whilst I agree that a very large screen would be wrong and out of place in such a character cottage one larger than the existing one would be more appropriate . We struggled to work the heating system in the cottage and particularly the heated towel rail in the bathroom and the storage heater in the lounge. Fortunately the electric wood burner kept us warm on the evenings when it was chilly! These are all very small issues that would not stop me from booking the cottage again. Reply from Simon & Caroline Beeching Thanks for the kind comments about Rosslyn Mr Blundell and we are so glad you liked it. Thanks also for you various bits of feedback which have been noted and we'll add some further information about how the towel rail and storage heaters work for future guests. We're pleased the new wood-burning effect heater in the lounge was useful! TV size is a obviously matter of taste - as you'll have seen there is an obvious place for it to be in the corner on the shelving system there, which does restrict the size, and we didn't want to have a big free-standing TV imposing on the room, opting for a smaller high-quality Samsung Smart TV with a very clear/sharp picture which we find works clearly, even for the large collection of film DVDs in the cottage. Rosslyn Cottage was all we wanted from a holiday cottage, it is very quaint and has been newly decorated and carpeted throughout. 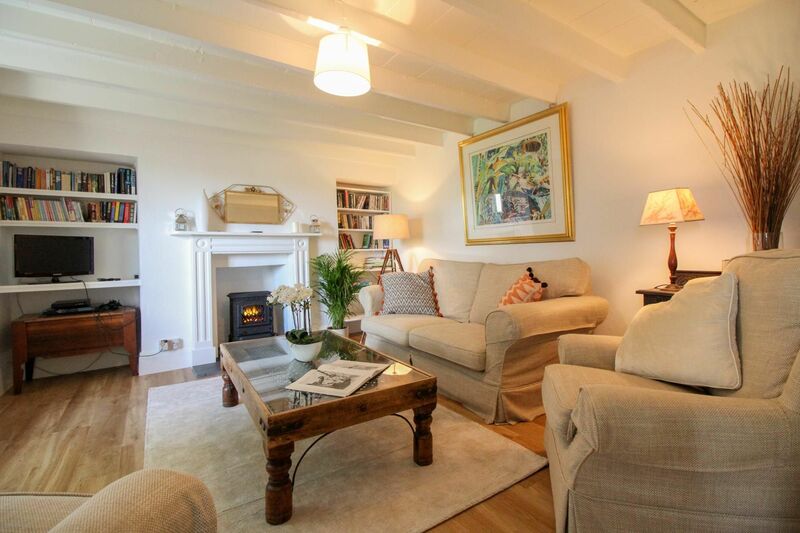 The cottage has a lovely restful relaxing lounge with new comfy sofa and easy chairs and modern cushions and an electric log fire in the hearth. The beds, linen and quilts were new and the beds were so comfortable we did not want to get out of them some mornings. The cottage has a lot of space with kitchen and dining area combined and has all the utensils you could possibly want plus new dishwasher and washing machine. There are lovely views over the sea and boats from all the front windows at Rosslyn Cottage, which was great to wake up to. We spent a very happy time there it has a very large back garden and the front garden, with the sea view, has a large pine table and chairs and a barbecue provided. It takes no time at all to get down to the sea front from the cottage and parking is free if you park in the street outside the nearby primary school. We found this lovely cottage to provide all we wanted in the way of facilities TV, internet connection, telephone (pay phone) peace and quiet and views. In fact we wish we were still there as it is very much a home from home cottage and we hope one day that we can return as we loved St Mawes. The ease of driving out to other "busier "places in Cornwall from St Mawes was good but to return to Rosslyn Cottage at night for peace and quiet and tranquility was heaven. Loved it. Reply from Simon & Caroline Beeching Delighted that you had such a nice stay Mr & Mrs Cooper and pleased that you liked the house so much and also the refurbishment work we've just done, as well as St Mawes itself, where we and our children have been enjoying holidays together for 25 years now! Cottage clean but in desparate need of redecoration. 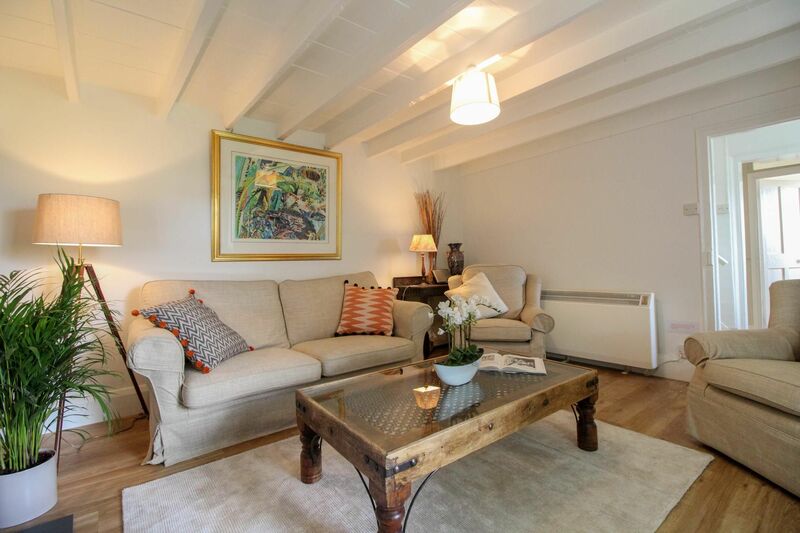 Cottage is situated in very narrow lane with parking 400 yards away down a very steep hill. Furniture generally poor but does have a nice diningroom. Would not recommend this cottage to families or older visitors. Reply from Simon & Caroline Beeching Rosslyn is being fully redecorated from top to bottom over winter 2016/7 and any older furniture replaced, as has been ongoing for the last two years. 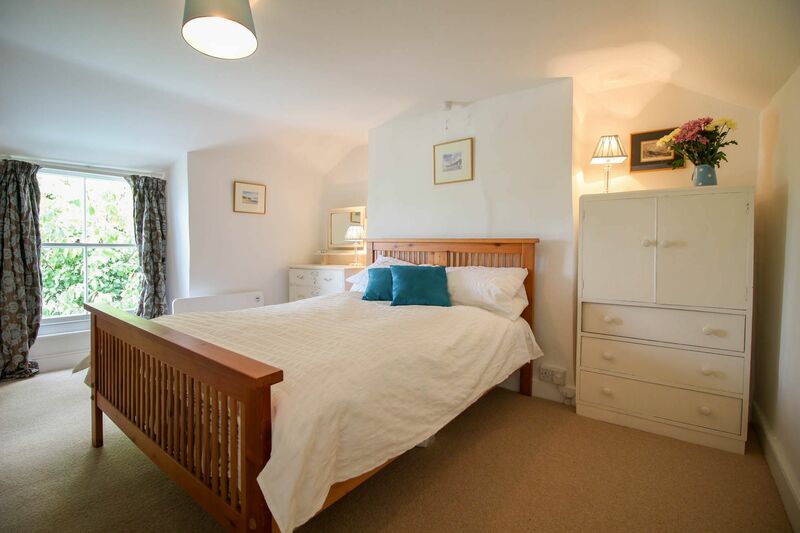 Families as well as older guests love this period cottage so please read the other reviews here and don't be put off by this one bad review, which was for an out-of-season stay just before our scheduled maintenance programme, which will be completed by April 2017. 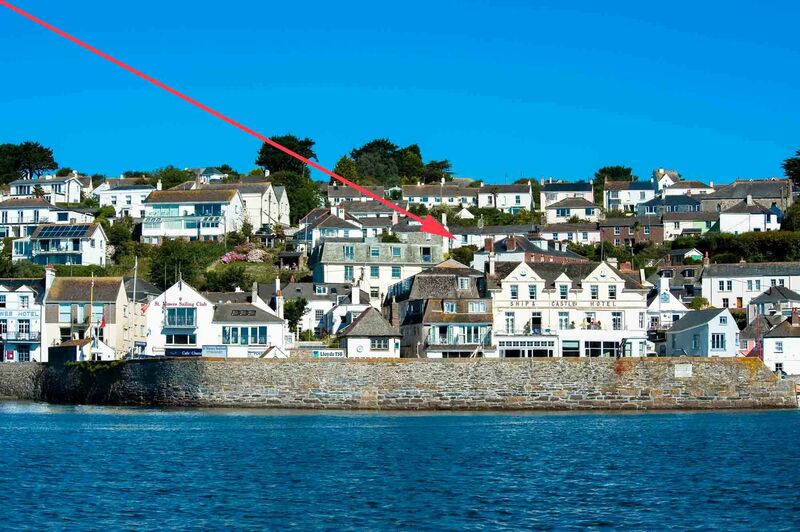 St Mawes is a great destination for a family holiday. The Location of the cottage is very central, which is a huge plus. The size of the cottage was just right for a family of five, with one young one, as the third room is very small. However the cottage could do with some TLC, particularly for the price. Small niggles like no DVD handset and slight damp smell downstairs did not affect our holiday which was great. Probably 3/5. Reply from Simon & Caroline Beeching Thanks for your nice comments about the cottage and glad you had a nice holiday! Sorry that a previous guest had walked off with the DVD remote - we're getting another one so thanks for reporting this. Regarding 'the need for a bit of bit of TLC', it is part of the charm of Rosslyn that it's over 200 years old and inevitably a bit fragile compared with more modern properties. We are however re-decorating this winter (2016/7) and continuing to replace older furniture, so Rosslyn will have a 'fresher face' in 2017, without losing its lovely character. 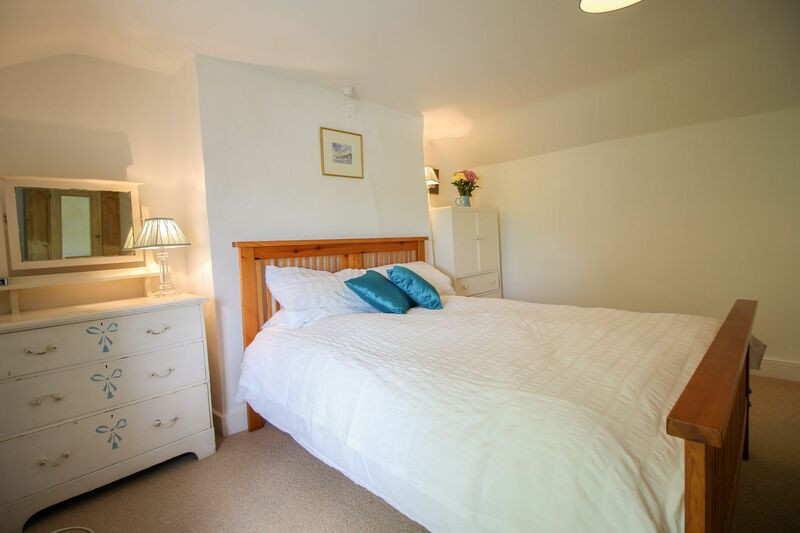 A very nice cottage, very well-equipped and comfortable, with lovely views from some of the rooms. It was a little chilly on arrival because no heating had been left on, and as the heating is by storage radiators there was no heat until the day after we switched them on. The sitting room was particularly cold, and the fan-heater provided was too noisy for us to hear the television. Once we switched the heating on overnight, everything was fine from the next day on. This was our only complaint, and may have arisen because the weather had been so changeable before our arrival. The agent was particularly helpful in ringing us to warn us of the many steps and steep streets we needed to negotiate to get to the cottage. We had a very enjoyable week there. Overall the cottage was very comfortable. But we were disappointed on first arriving to see that the area around the front door and front windows was dirty and the white outside chairs needed a good scrub. As we are in our 80's but in good shape the walk up from the harbour was somewhat challenging. We did not have a car so had to walk our luggage up to the cottage. Maybe the location could be more specific when people are inquiring about renting the cottage. When we arrived the place was very cold. It would have been a nice welcome if somebody had come in prior to our arrival and put the heat on. We had to figure out how to get the hot water tank working and to connect to the internet. Paula did call on us after we had settled in and gave us good advice on where to eat and shop. That was appreciated. Reply from Simon & Caroline Beeching Thanks for the compliment here about the comfort & good scores for service and also the general condition of the cottage, despite its 200 year old period charm! Regarding location, we understand that you arrived in the village with luggage by bus from Truro as opposed to by car as most of our guests, who therefore unload right outside the front gate - and since you are in your 80's we would have expected the agent you booked through to point out that Rosslyn is up steps from/overlooking the village, which would indeed have been a struggle for anyone to get up there with luggage, so all credit to you!! 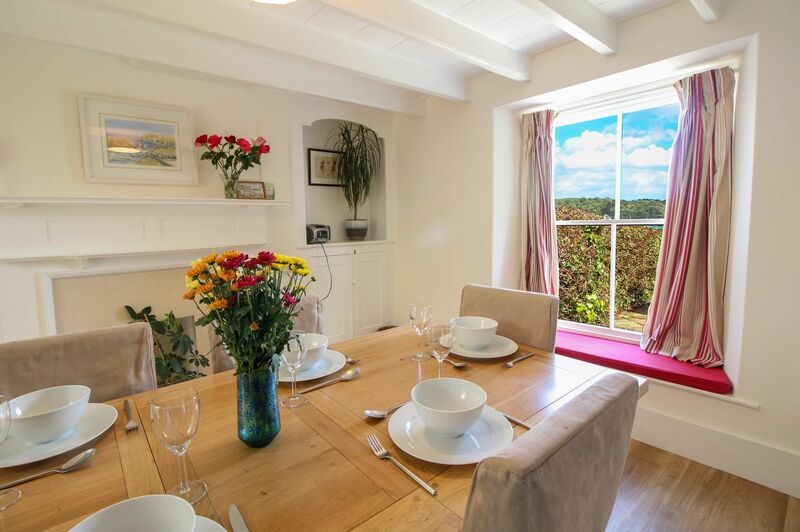 We do however think the cottage location overlooking the village and up steps is quite clear from their website description and photos - and it is also the location and views that are plus points from most guest feedback we've had over the years. The storage heaters would have been on for you on arrival, but it was quite bad weather at the time and this may also have blown some leaves from the garden around outside so we are sorry if first appearances were not as welcoming as might otherwise have been the case in better weather. The agents do also send out a comprehensive joining pack of information about the area, shops, restaurants and also details about the cottage itself including bins, internet, hot water etc. but we have asked them to check that this was sent and had all these details correct for you. Regarding the white chairs outside, apologies, they were out all winter and had not yet been bleach cleaned as usual in the Spring. This has now been rectified. Stunning cottage and front garden. A bit dark inside and the some of the furniture and fittings were a bit cheap and tired. The small bedroom is really really small, and actually only really suitable for a child. The double bedroom is also definitely not the master bedroom. The bedroom with the best furniture and view is the one with twin beds. Reply from Simon & Caroline Beeching Great to have another review saying Rosslyn is such a stunning cottage and with such high scores. Regarding bedrooms, guests can use either of the large bedrooms as the master bedroom - the twin beds can be zipped together to form a King double if preferred, but we personally prefer the the view across to Summers Beach from the double bed in the other bedroom... ...and as per the website details the single room IS very small and with a cabin bed so it is correct to say that this is, as sold, best for a child .. As to the comments about furnishings, all our other reviews have been very complimentary and we continue to upgrade if/when necessary - but we note that these guests are from the USA, so in some cases 'cottage-ey' furniture may not be Hilton-esque, but it IS a 200 year old cottage, in St Mawes Cornwall, where we find that character tends to win out over chic or modern. But as stated, we are continuing to upgrade .. Slightly dark inside - mmm, this could possibly refer to the lounge and double bedroom which have a cherry tree in front, so a bit shaded perhaps but we've not had comments on this before in 20 years of rentals.. The cottage is old and full of character. The kitchen/dining arrangement was excellent. The property is supplied with plenty of pots, pans and crocks making it easy to prepare and eat meals before loading the dishwasher. The outside was kept very tidy with well tended gardens front and rear although we only sat out at the front. The inside is decorated to a high standard and has uncovered floors in many rooms, in character with the property's age. The beds were comfortable and the linen to a high standard. We had planned for a relative to stay with us while we were there but she was unable to come in the end. I'm not sure how she would have coped with the single bed in the small bedroom as it's a "cabin" bed with storage underneath, but would be fine for a younger or agile person. The village itself was also full of character and characters. We used the car on one day but otherwise walked everywhere and used the ferry to Falmouth for one day as well. Parking was fine for the first couple of days until I moved the car from the road outside the school when we went to Truro for the day. After that, it was making use of the public car park in the village. My only beef with that is that the "24 hour" ticket lasts until 8am the next day (even if you buy it at 4pm in the afternoon). Consequently, you would have to be down at the car at 8am to put another ticket on. If the ticket actually did last 24 hours from when you bought it, or expired at even 9am, it would have been more conducive to a chilled holiday. We used the shops and pubs in the local village and found that we could get everything we wanted, and much more besides. 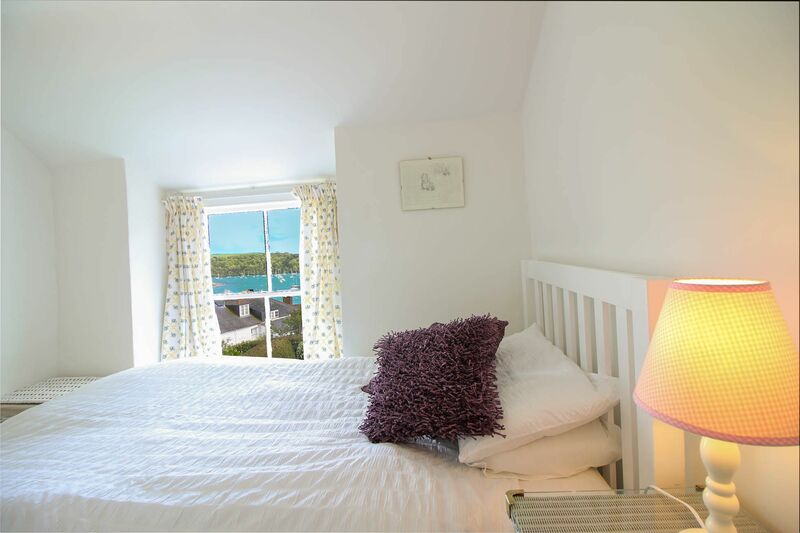 We will definitely plan to visit St Mawes again and will book Rosslyn if available. 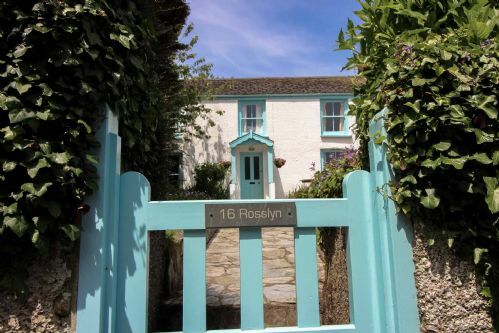 Rosslyn Cottage is a lovely house in a great location, right in St. Mawes village. We really enjoyed our stay here and had everything we needed in the house, including very good wifi (phone reception is minimal). 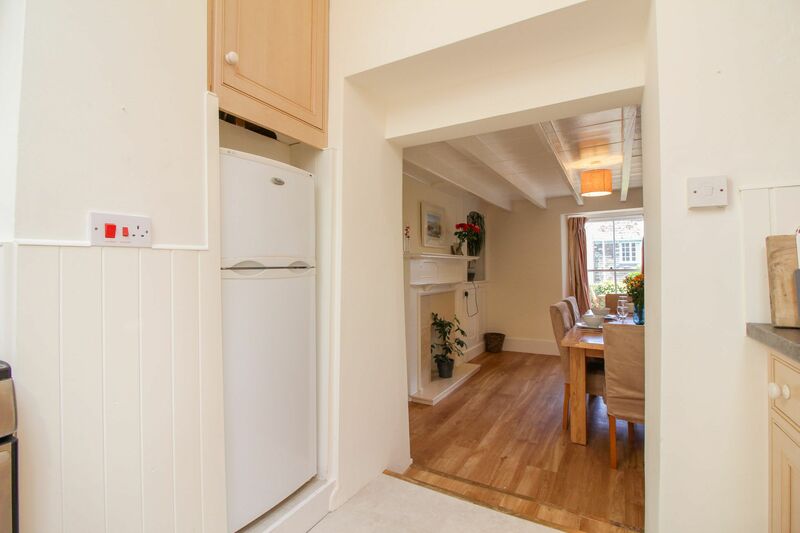 The house is in great condition, with a fine kitchen, spacious living room and large dining table. Lovely views from the front garden where we had breakfast almost every day, the house is only minutes from shops, pubs, restaurants and the ferry. It's not cheap but we felt it was well worth the price - pity there is no toilet upstairs but can't have everything! We spent a very pleasant week here over a blustery new year. Despite the weather we greatly enjoyed touring the local beaches and pubs, and managed to stay warm and dry in Rosslyn Cottage, which looks like an old fashioned fisherman's cottage but is modernised enough to be warm and comfortable. The only problem we had was manoeuvring our car up the street to unload and on the way back decided to take the bags one by one down to the carpark at the bottom of the hill. The Victory pub was our favourite, especially fish and chip night on Fridays. 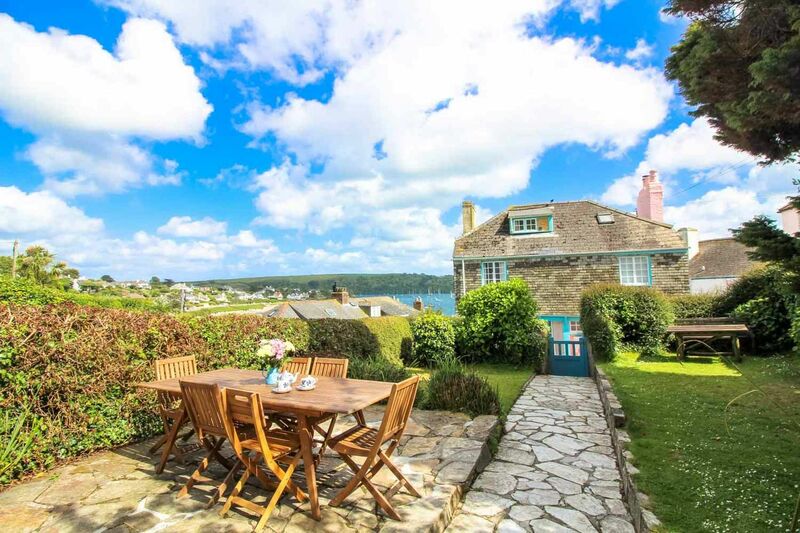 We had a fab week in St Mawes, Rosslyn cottage was an absolute gem, a real home from home with fantastic views. We will defiantly return and recommend to friends. Short walk from main quay where you have a butcher, co-op, fish and chip shop, coffee shop etc. Lovely house with a sun trap front garden. Big sloping back garden. 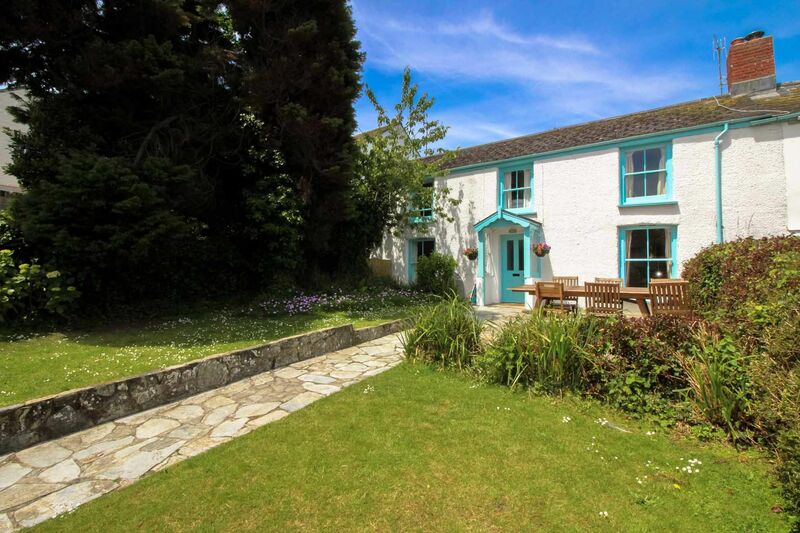 Good size cottage for a family with 2 or 3 young children. Would book again. We had a superb time, will recommend the cottage to friends, everything was perfect. Thank you. Just wanted to say thank you for a lovely holiday we had at Rosslyn, St. Mawes. Only wish it could have been longer. The cottage was everything we expected very well equipped and very clean. Beautiful views. We would love to return one day. We had a lovely week in your cottage. It has lots of character and the layout worked very well for our family. All very convenient and we enjoyed the peace of St Mawes. Lots of al fresco dining, using the BBQ for 5 evenings in a row, while enjoying the absolutely stunning views. We had superb weather, explored a lot of beaches amongst Kynance Cove, which was definitely a big hit and totally worth the trip! On the rainy day we went to the Eden project. Had a lovely time at Rosslyn and in St Mawes, thanks again for a great holiday. Just a quick email to let you know that we had the most fabulous time staying at your wonderful cottage. Thank you very much for the useful holiday information you provided. We visited many of the beaches you suggested. 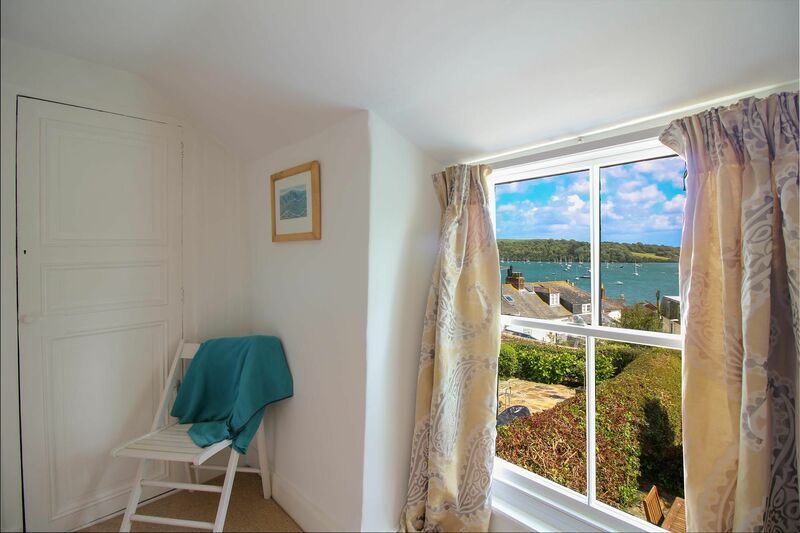 The cottage was an absolute delight and St Mawes is certainly the hidden jewel of Cornwall. We did have a splendid time down there. Did not even know such unspoiled beauty still existed. Our parents over from South Africa could not stop talking about the place. 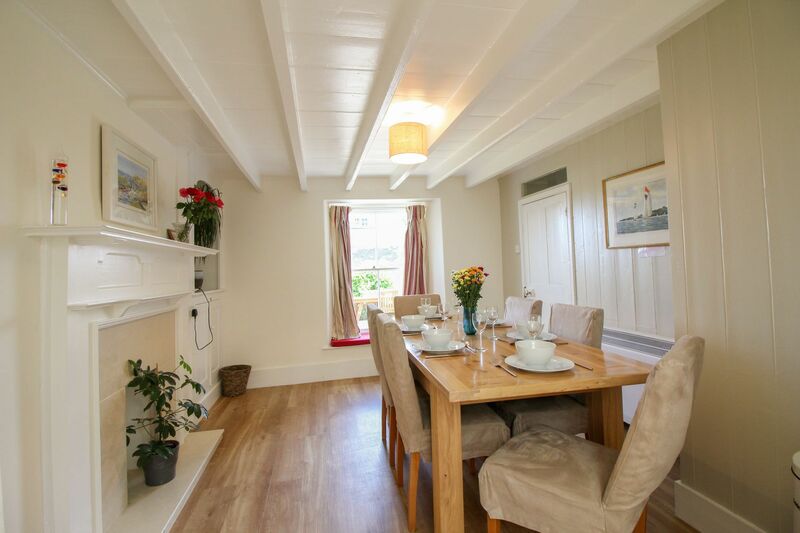 If you are looking for a more traditional cottage in St Mawes then Rosslyn Cottage is definitely for you. 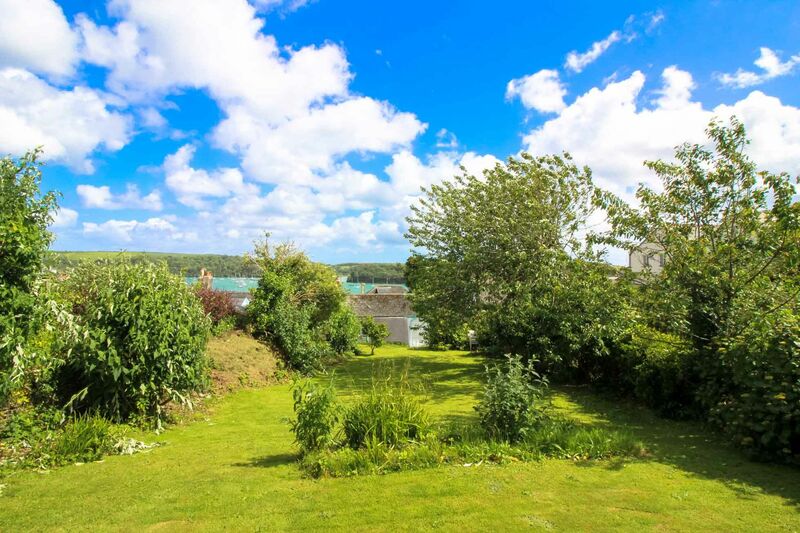 The three bedrooms each have partial views of St Mawes Bay and there are pretty secluded gardens both front and rear with a south facing patio providing a superb place for barbecues. To reach the cottage from the bottom of the village, there is either a combination of 28 steps with some short inclines (all with handle rail) or a short but steep hill. 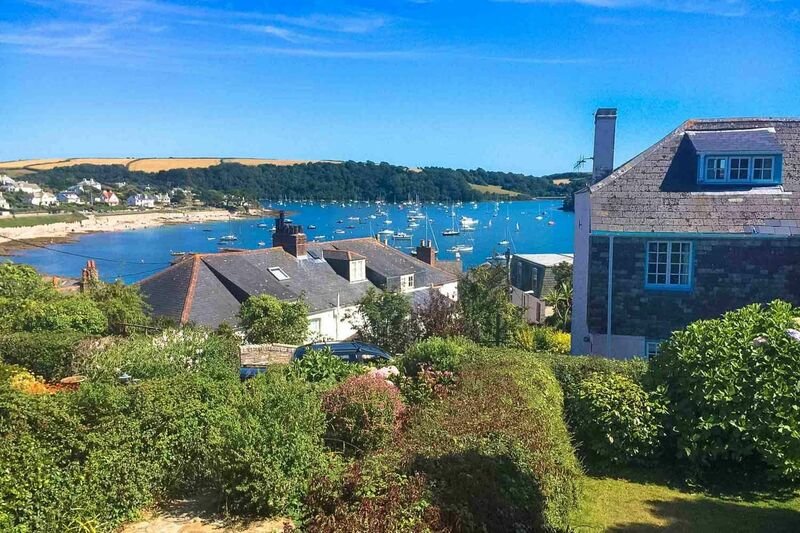 St Mawes is simply an idyllic spot for a holiday. 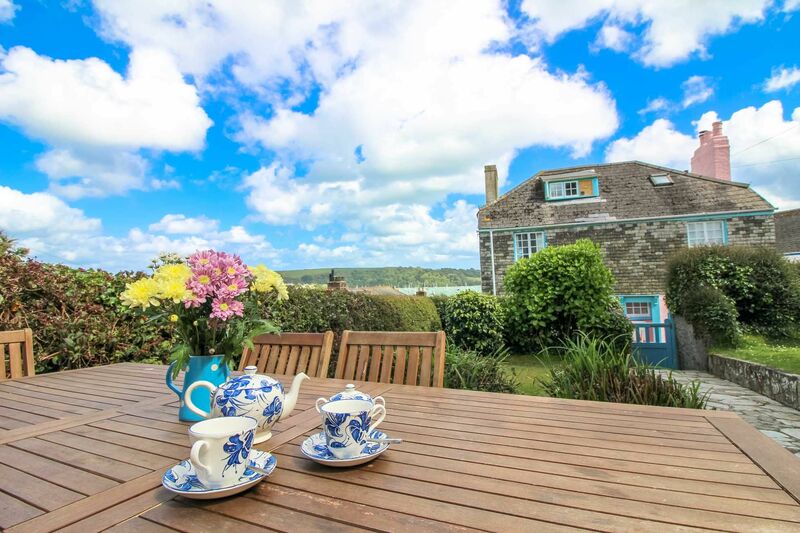 It is perfect for those who want to get out on the water or explore the stunning coastline of the Roseland Peninsula. There are two sand and shingle beaches in St Mawes or some lovely sandy beaches on the St Anthony headland. Staying in Rosslyn St Mawes you would not need your car all week. Everything is within walking distance and the passenger ferries provide regular services around the estuary from the delightful harbour. Ground Floor: Pretty tiled entrance hall leading to the comfortable lounge with its beamed ceiling and ‘old-world’ electric fire for extra warmth. 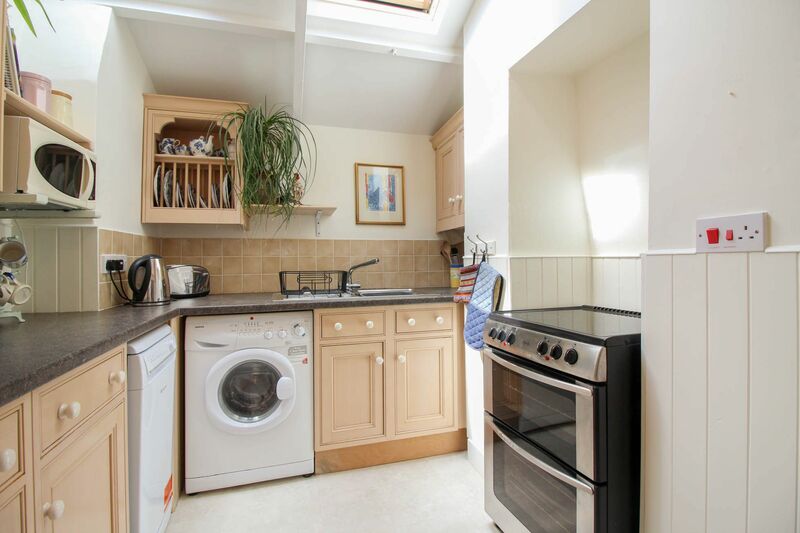 The kitchen is in a bright rear extension and is fully fitted with a range of units. The separate dining room leads off the kitchen with views over the front garden towards the water and has a beamed ceiling and large oak dining table. 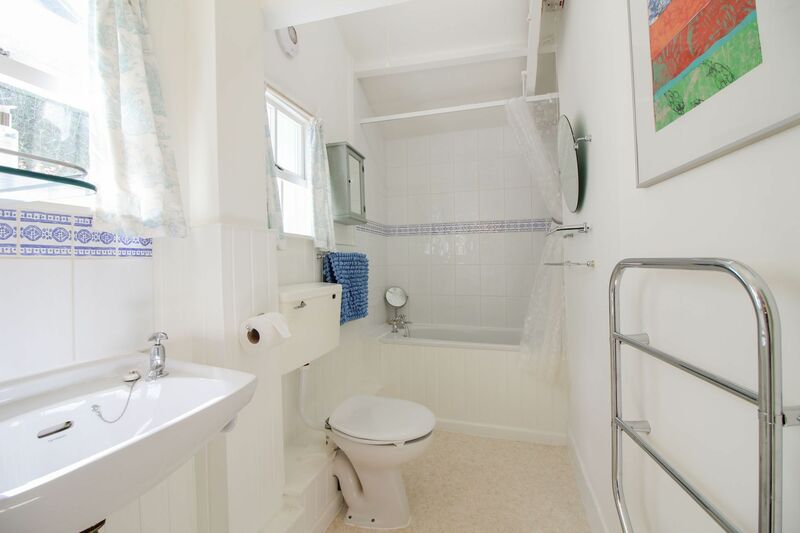 The bathroom is to the rear of the property and has a wall mounted shower over the bath & also a WC. There is also a further outside WC partly used for storage. 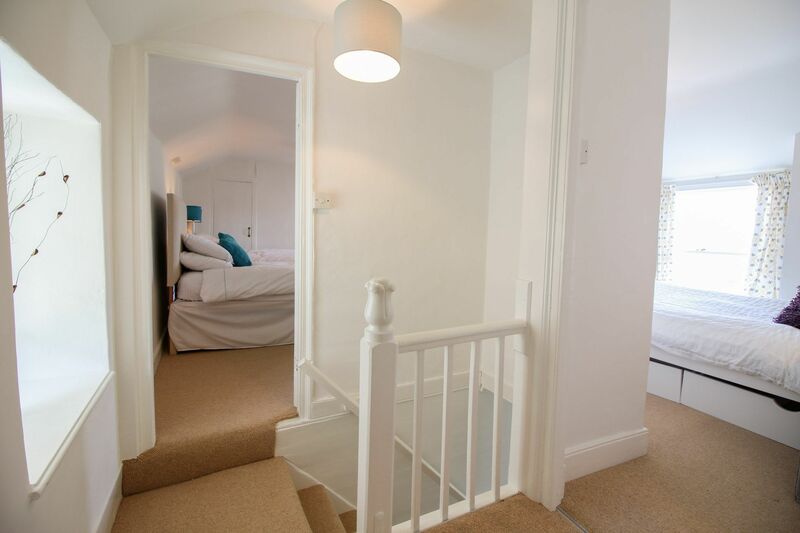 First Floor: A good sized double bedroom (4'6" bed) with sea views across the front garden. 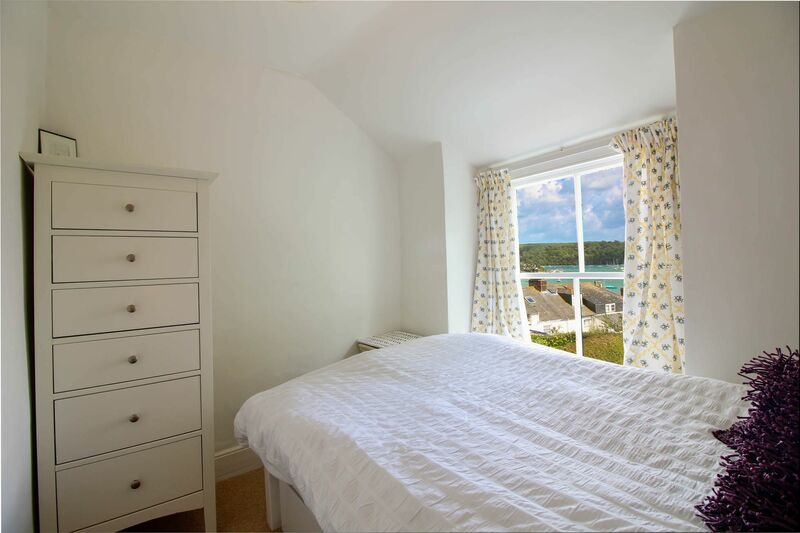 A twin bedded room (zip & link beds making a 6' double bed) with lovely views towards Summers Beach; each twin has a pull out single bed underneath. The single room has a 3' bed (suitable for an adult). Exterior: Enclosed patio area with picnic table, wooden chairs, BBQ and grassed lawn to front. The long and secluded rear garden is up steps to the rear of the property, mainly laid to lawn with a variety of trees and flowering bushes. 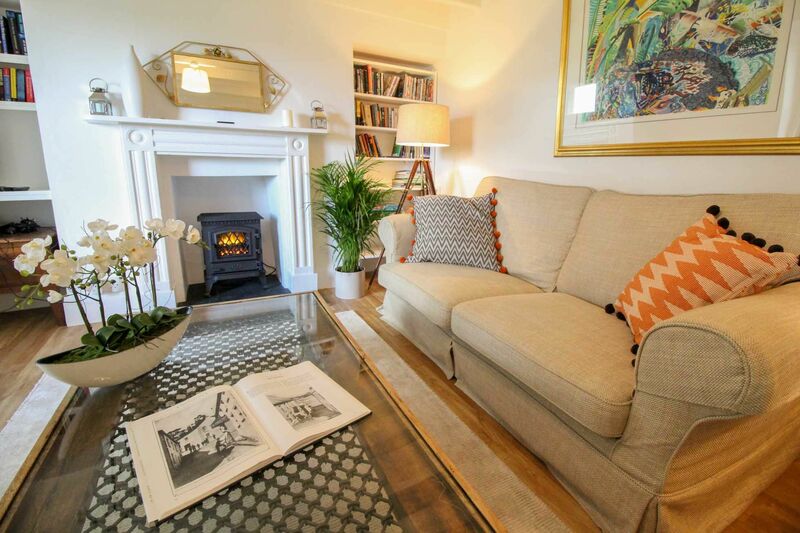 Heating is via storage heaters in the lounge & dining room with an additional ‘wood-burning effect’ old-world electric fire in the fireplace in the lounge and freestanding electric oil-filled radiators in the bedrooms. 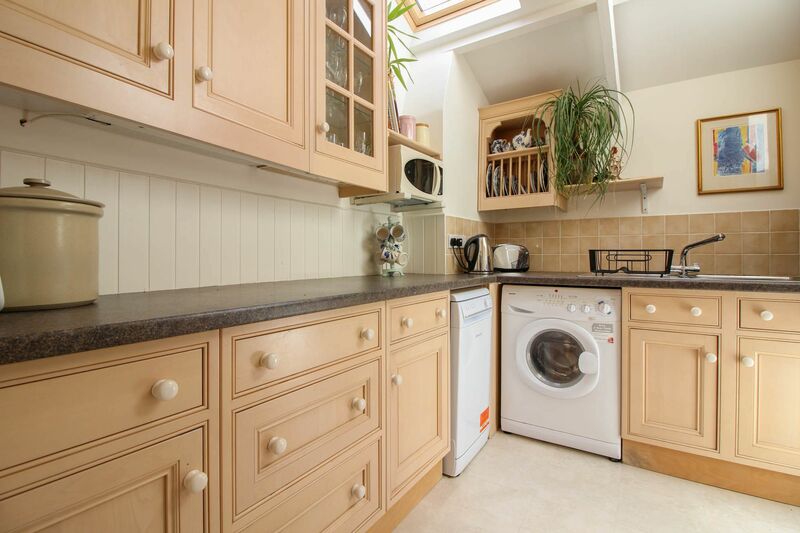 The kitchen has an electric cooker and hob, microwave, fridge/freezer, washing machine/dryer and dishwasher. Extra children (or even adults) can be accommodated on two fold out beds with sprung mattresses if required. BT WiFi is available. There is a flatscreen Smart TV (with terrestrial and Freesat channels and also catch-up TV); a Bose music centre to play via audio link cable to your own smartphone or portable device (e.g. for Spotify and portable CD players); as well as a DVD player attached to the TV; and a CD player/radio in the dining room. There is a cot, highchair, iron & ironing board available at the property. 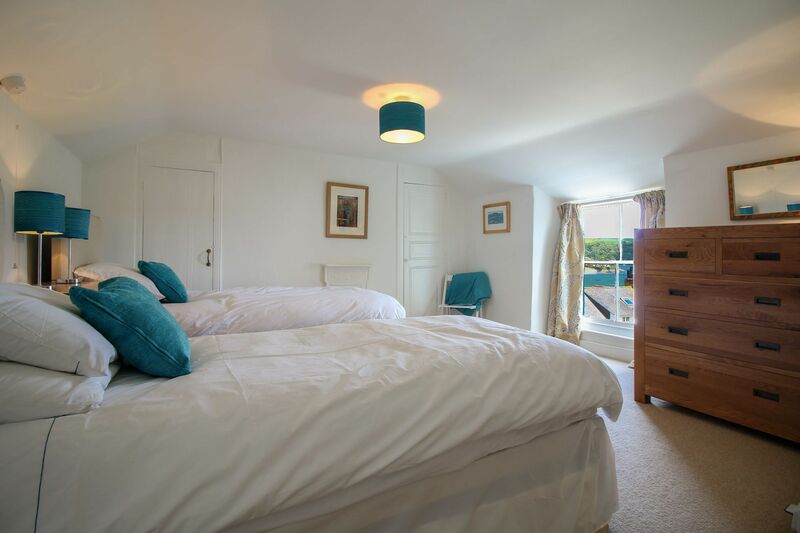 Electricity, heating & bed linen are all included but you will need to provide your own towels & tea towels. A payphone is provided (BT payphone rates). We regret that dogs are not permitted and also no smoking. There is a cot & highchair available upon request. 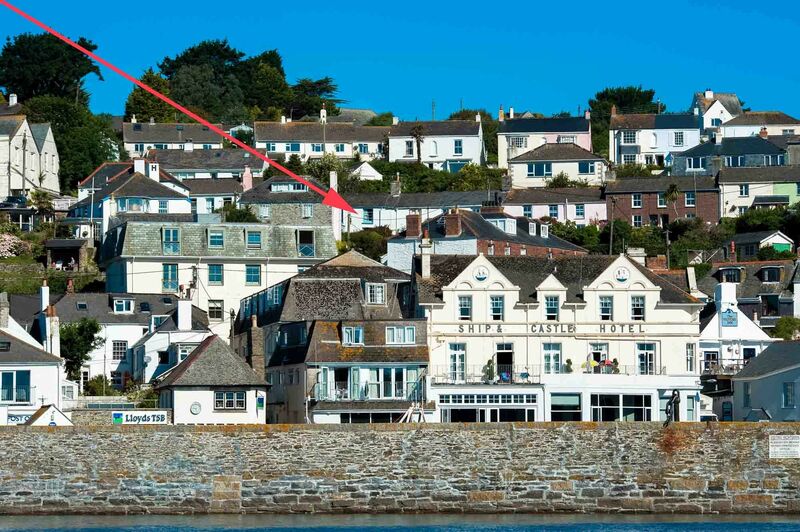 There are local shops, pubs and restaurants all within walking distance in St Mawes. Car parking is available in the main St Mawes car park about 5 mins walk away. You can stop to load immediately outside the property. Arrival / Departure is a Saturday. Short breaks are available during quieter periods.